There have been many strange events reported over the years that have caused each of us to question what truly takes place behind the scenes. We hear of numerous accounts of strange lights and craft in the skies from all sorts of different people, and may not know what to make of them. The account within this interview, however, stands out among the rest in major ways. The testimony of retired Security Officer Larry Warren is one of the few in existence with such extensive detail, historical significance, and far-reaching impact. Yet even as detailed and gripping as this account may be, these events may only scratch the surface of what is truly taking place beyond the view of the common citizenry. This account seems to hold a surprise at every turn, and includes within it a number of different phenomena which we may have heard about in the past. The reporting of strange lights in the night sky is rather typical among UFO witnesses. However, the rest of these experiences are far removed from the commonplace siting. There were a few details which I found to stand out among the rest. The first of these was the perceptual distortion which Warren described experiencing while witnessing the multiple ETs and craft. This effect may have been caused by the merging of two separate vibratory states. 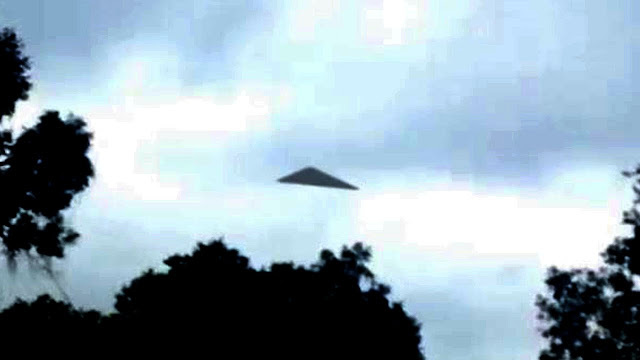 This would include one we normally experience here on Earth and one which various ET groups may consider normal. Scientifically speaking, the galaxy is a big place. It could be that each star system experiences its own electromagnetic state associated with the energies emitted from their respective stars. Depending upon what system a species comes from, their local vibratory state may either match or differ from that of our own. If this is the case, it may explain why these visitors arrived with perceptually-altering energy. This effect may have been caused by some type of artificial means of imitating the electromagnetic state they were accustomed to. It is also possible that we as Earth humans are bombarded with such high amounts of microwave emissions (from our smart-phones, cell towers, wireless routers, and just about every other piece of transmission equipment we use) that to be abruptly switched from one vibration to another may have been a shock. This perceptual change may have also been caused by another factor more direct and deliberate than simple overexposure to microwave technology. Most of the ETs which have interacted with Earth humans in the past have shown the ability of telepathy and other abilities said to be associated with states of higher consciousness. Yet we humans commonly think of such abilities as nonsensical. We have this telepathy, making communication more universal and simpler, as many species do not share the same spoken language (or may not physically speak at all). This standard has reportedly allowed numerous off-world races to interact and communicate with relative ease. However, Earth humans have been stuck for millennia using spoken words throughout the entirety (except in special cases). According to many whistleblowers, this limited communication is not accidental, but by design. It may be that the electromagnetic soup we live in holds within it frequencies which are deliberately created to maintain lower functionality within the human brain. This limitation may be induced by restricting cognitive function in humans, and preventing any level of consciousness above what is referred to as alpha/theta state. This state of brainwave activity exists just above the level at which human beings dream, and is known to be accompanied by heavy drowsiness. In other words, for the most part, we as human beings spend the majority of our time in a waking/dreaming state in which we are not completely aware of the world around us. It's been stated by some whistleblowers that this alpha/theta state is maintained for the purpose of keeping Earth humans controllable and subordinate. Otherwise, we may reach levels of higher consciousness beyond anyone's ability to control and manipulate us. To add to these possibilities, this limitation of consciousness could effect the way which we as human being perceive time. If we could imagine being exposed to a frequency of light either above or below the 430-770 Hz-range that humans are able to perceive, this would be an similar comparison. This light beyond the visual range is still there and can be perceived by a number of different animal specie, but we as humans have a certain limitation in our perception. Just as we are only able to perceive light at certain frequencies, we may only be able to perceive time at certain frequencies as well. Upon learning the physics behind UFO technology, we may have learned that many of these craft are able to levitate because they distort gravity. To add, Einsteinian physics teaches us that space and time are one and the same, and that to distort one is to distort the other. To put it simply, in order to distort gravity—a natural spacetime distortion—the mechanism must distort time as well. If a human being were to walk near a craft that was distorting spacetime with a certain intensity, that person may experience this gravitational distortion as perceptual distortion. In my opinion, this is the most likely explanation for Warren's distorted perception. The second aspect of Larry Warren's account, which stood out, was the detail about how this encounter was overseen by several triangular ships. This is a situation I have never heard of before. There have been times when multiple craft were reported in close proximity to one another. I have also read about instances when military bases seemed to be under intent observation by these craft. We may also recall the multitude of testimonies from the original members of the Disclosure Project. These accounts detailed the numerous encounters of flying discs hovering over nuclear missile silos during the days of the Cold War. These craft were known to shut down the complex computer systems these bases operated upon. At times they would even disarm the warheads on the missiles entirely, leaving them radioactively inert. 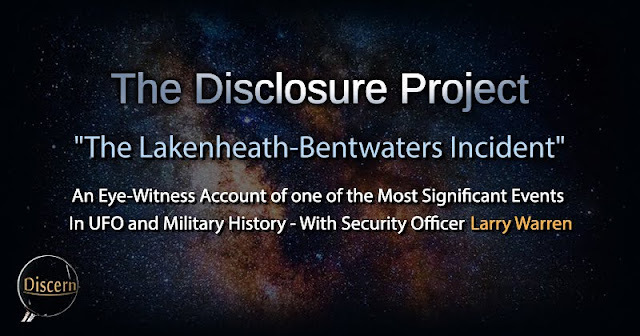 These were instances during which UFOs directly intervened in a military setting. However, the incident at the Twin Bases seems to have been unique. Seeing these large craft assuming what sounded to be a defensive formation over a military base presents an interesting possibility. This formation may be indicative of some type of reconnaissance mission in which a specific person or persons were of interest to these ETs. The presence of missing time may have been an indicator that a number of people were abducted and returned. Though we cannot say for sure what the purpose was for this visit, we can say that this experience was more complex and profound than anything we might experience in our personal lives. To be quite honest, when Warren's account first began, I was under the impression that this was just the average account of lights in the sky seen by military personnel. However, as the story progressed, that impression was quickly dissolved. This account had a way of leaving the audience in a constant state of surprise and amazement. 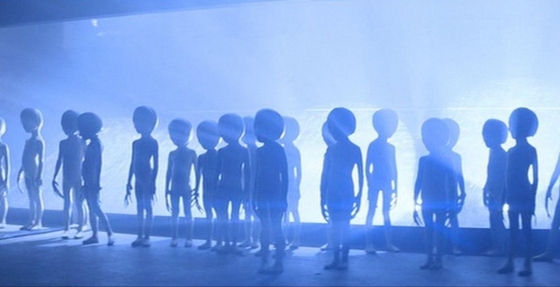 Many of us have already heard accounts of ET encounters and a few minor details of what these experiences typically entail. However, this account seemed to connect a wide variety of the most intriguing and the most perplexing phenomenon we have heard of in the past. As difficult as these experiences were to endure, it is fortunate that Larry Warren is still alive to testify to their validity. This is one of the most significant accounts of strange encounters in military history—one of the hallmarks of a true and provable phenomenon taking place beyond our normal and predictable lives—and serves as an outstanding reminder that no matter what we believe ourselves to know, there is always more for us to uncover.